Both wheat and barley are two of the most important food and industrial crops in the world. Wheat and barley cultivation has experienced changes in practices due to factors such as methods of conservation agriculture, cropping systems, wheat varieties, changes in weather patterns, and international trade, necessitating new and different approaches for the successful management of emerging diseases and new pathotypes of pathogens. 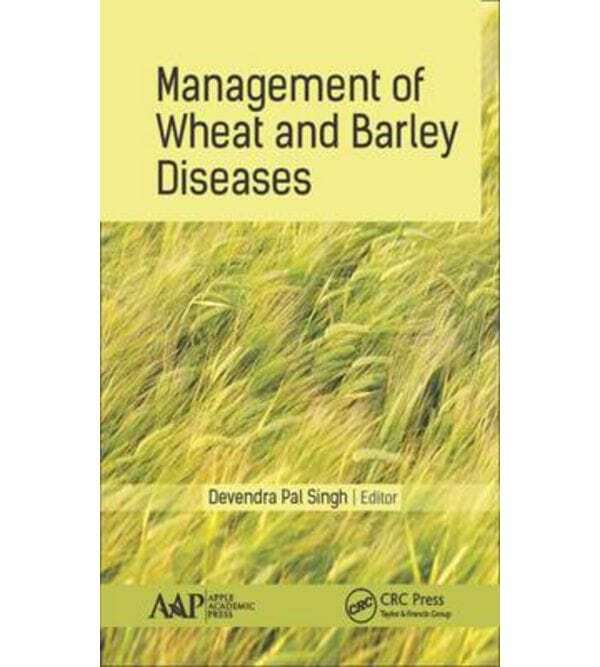 This valuable volume explores a multitude of new approaches and techniques for the effective management of emerging wheat diseases. This new volume presents the latest literature on management technology of diseases that affect the production of wheat and are capable of reducing grain yields as well as grain quality. These diseases include rusts, smuts, other foliar diseases such as blight, spots, blotch, powdery mildew, bunts, etc., as well as diseases such as Karnal bunt of wheat, which is of importance to international trade. This book will be highly valuable to researchers, students, teachers, farmers, seed growers, traders, and other stakeholders dealing with wheat and barley. It also advances our knowledge in the field of plant pathology, plant breeding, and plant biotechnology, agronomy, and grain quality and pesticide industries. The book will serve as a reference on disease management technologies for the containment of losses in wheat and barley yields and will assist in maintaining wheat quality, reducing the cost of cultivation, increasing yield, and thus in helping to ensuring food security on a global level.